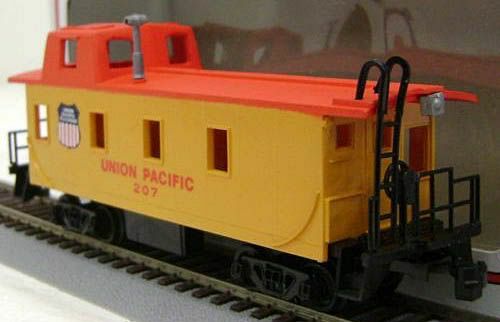 Bachmann's streamline cupola caboose has at least two variations. The original tooling features a fully detailed smoke stack on the roof; another version that came later has a stubby stack. 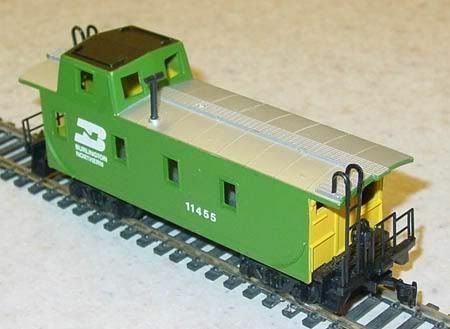 This model has found itself including in numerous Bachmann train set offerings over its tenure in the line. As such, you'll find a number of paint variations for the same roadnames. The Santa Fe and Union Pacific examples come to mind. These variations range from multi-color examples with silver accents and stamped lettering to simple cast colored plastic examples with simple stamp lettering. 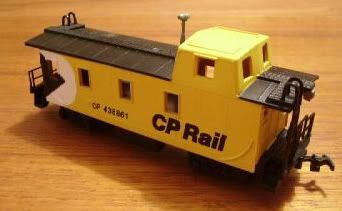 This Bachmann Caboose appears to follow the prototype of the CB&Q's mid 1950s Class NE12 Steel Caboose. The Burlington constructed their fleet in the railroad's Lincoln, Nebraska shops. The CB&Q and successor Burlington Northern were the only owners to my knowledge of this prototype. 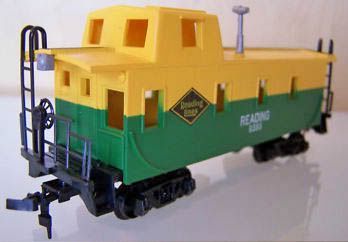 For further information on the Class NE12 Caboose, see "Waycars of the Chicago, Burlington & Quincy" by Holrook and Lorenz published by Prototype Modeler in 1978.